DIDIER DLB - as-usuals Webseite! Didier started djing in th early 90s under the Name of Didier de la Boutique in places like Rock Babylon or Unique Club in Düsseldorf .In 1995 he moved to Berlin and quickly got involved into Berlins vibrating funk scene and play regular in places like, Cookies, Lovelite, Grüner Salon or famous 103 Club. In 2000 he teamed up with Edgar Peng aka Ras ( Sonar Kollektiv) under the Name of Turmspringer .Their music taste, backgrounds and their individual vinyl collections brought them to stick together as DJ and Producer Team. Turmspringer became Major Players on Berlin’s Techno and House circuit since 2004. Their colorful sound and their infectious positive energy behind the decks and instruments, made them swap quickly from an insider tip to one of Berlin’s most wanted DJ and electronic live acts. In 2004 he invented Saturday afterhours 5vor12 in famous Golden Gate and still host a regular Friday Night called Stay tuned .Among friends he organised Camp Tipsy and becomes a part of Bachstelzen joining the Fusion Festival. 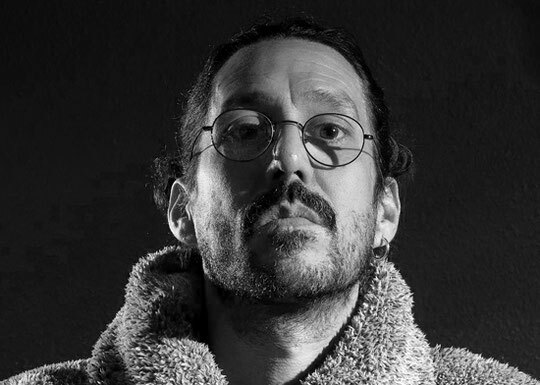 He released Tracks on labels like Blaq, Tonkind, Panta Muzik, Kung Fu Dub and created his own plattform Compute Music in 2015.